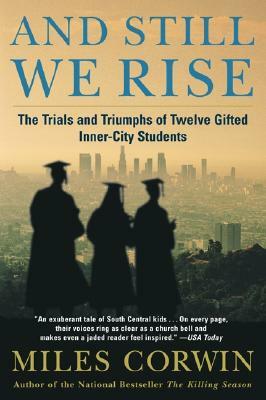 Bestselling author of The Killing Season and veteran Los Angeles Times reporter Miles Corwin spent a school year with twelve high school seniors -- South-Central kids who qualified for a gifted program because of their exceptional IQs and test scores. Sitting alongside them in classrooms where bullets were known to rip through windows, Corwin chronicled their amazing odyssey as they faced the greatest challenges of their academic lives. And Still We Rise is an unforgettable story of transcending obstacles that would dash the hopes of any but the most exceptional spirits. A native of Los Angeles, Miles Corwin is an award-winning reporter for the Los Angeles Times and the author of the critically acclaimed The Killing Season, a national bestseller. He lives with his family outside Los Angeles, California.